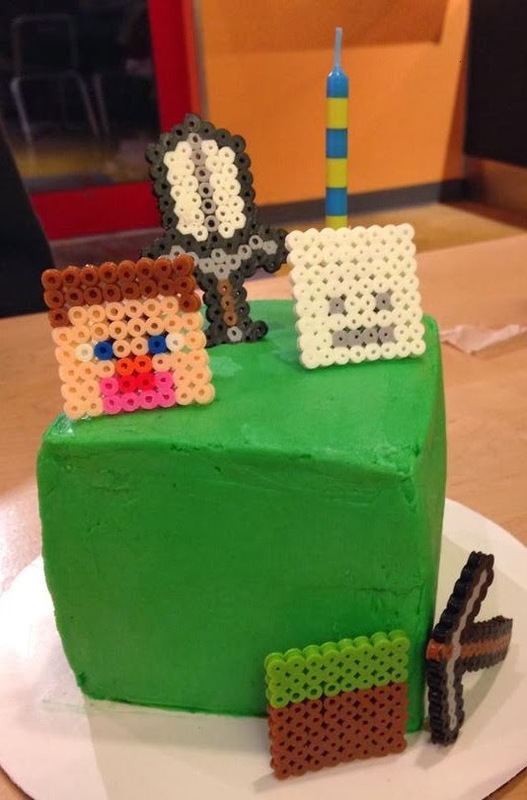 Is your boy or girl obsessed with Minecraft?? My 7 year old is. If he was allowed to play it all day I just think he might. 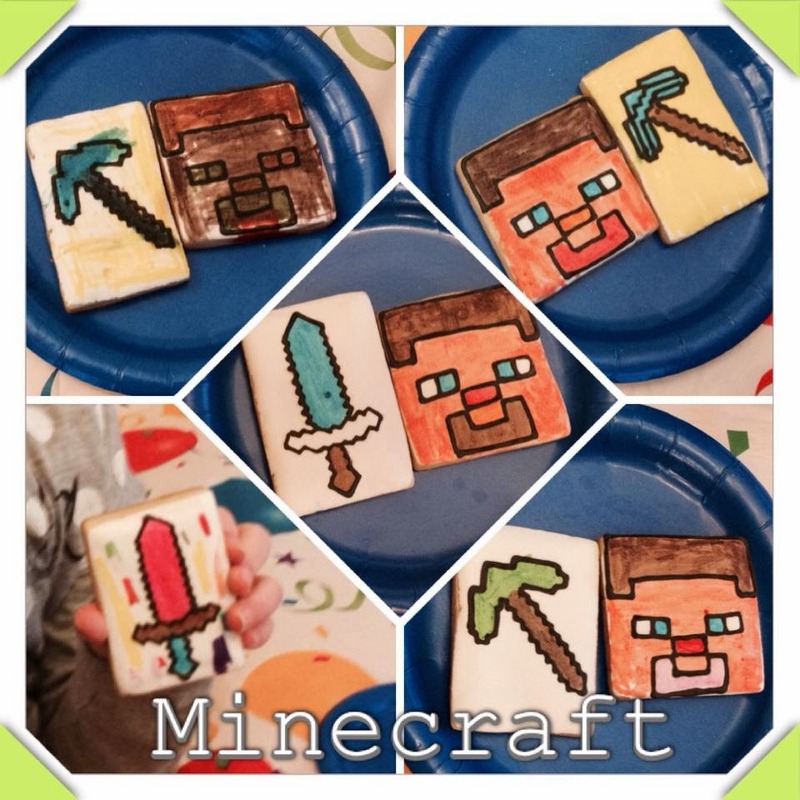 If you are not sure what Mine Craft is you can click here to find out. 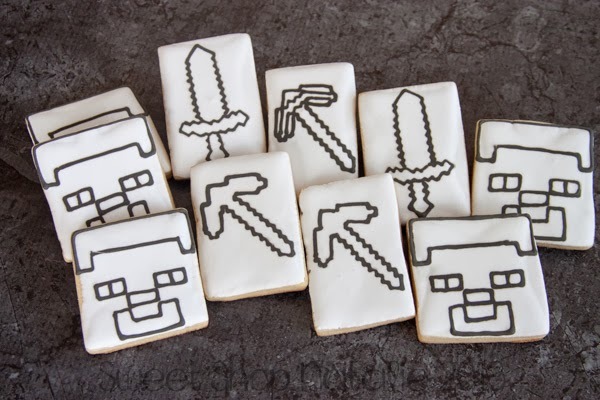 For his birthday he wanted Minecraft cookies so I did a couple different things. 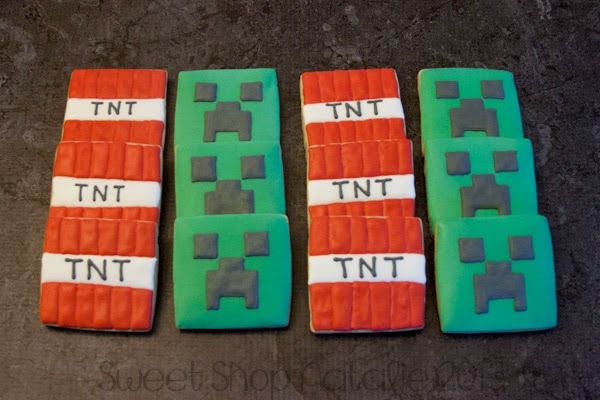 For his treat to take to his class I did some creeper and TNT cookies. For his small party with friends I made some color canvas cookies that are just white flooded cookies with the coloring image outlined in black icing using the wet on wet method. Then the kids used edible ink markers to color them they way they wanted. I had talked to my son and before all these events took place and asked if he wanted a cake for his birthday or cookies and he choose the cookies but on the actual morning of his birthday he said he was excited to have birthday cake that night. I was like "oh I thought the cookies were what you had decided to have." but he said "you have to have cake on your birthday". 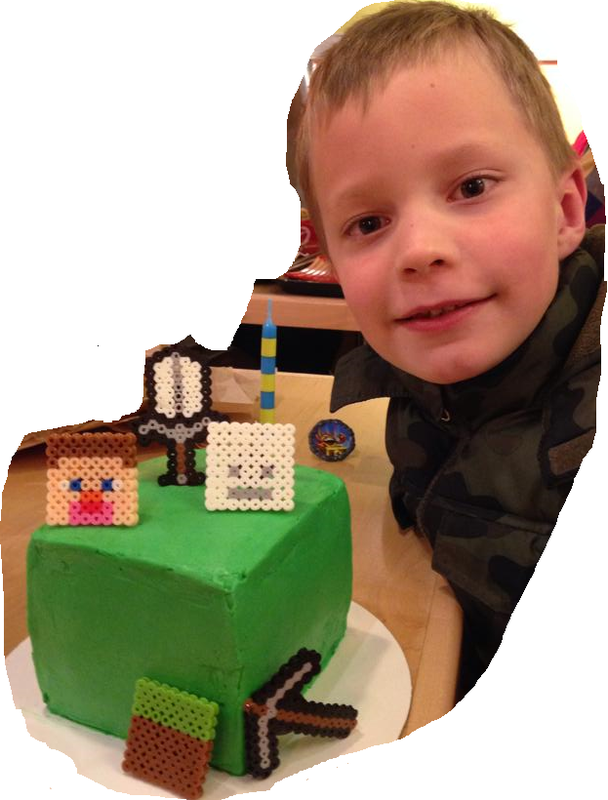 Luckily I had some cake frozen in the freezer so I just quickly made a cube shape and the decorated with Melty Bead art!